Aloe vera plant benefits have been heralded worldwide for its ability to ease pain and heal wounds for centuries. Modern science has deducted that the liquid gel excreted from the leaves, as well as the inside of the leaves contain mostly water – the pulp for which all of the aloe vera plant benefits protrude. More importantly, it is also made up of polysaccharides and glycoproteins. The polysaccharides stimulate skin repair and growth. The glycoproteins act as a pain reliever, while reducing inflammation. Other ingredients, beneficial to the body, include all the daily vitamins except vitamin D, minerals, enzymes, amino acids, anti-microbial and beneficial sugars. Discover how the various aloe vera plant benefits can aid in your natural remedy. Aloe vera gel is an excellent first responder to burns, including sun burn, minimizing the pain and reducing the swelling, redness and the burn itself with the glycoproteins. Bee stings and other insect bits can be helped immediately with the use of aloe vera gel, removing swelling and pain. In fact, any type of skin irritation can be minimized by applying aloe vera gel directly from the plant or inside leaves. Even dry skin can benefit. 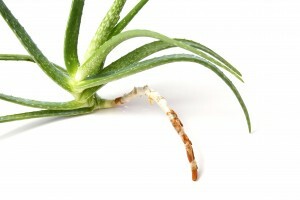 One of the primary ways aloe vera plant benefits can be displayed is when the spiky green is ingested internally. Aloe vera is used as an ingredient in some yogurts, desserts and beverages. Aloe vera juice has been found to be beneficial for relief of digestive maladies, such as irritable bowl syndrome and indigestion. It may take up to two weeks to get the complete benefit, drinking two glasses of the juice per day. It works by loosening waste materials and discharging them through the intestines and then the colon. When waste materials build up in the intestinal tract, it becomes difficult for nutrients to become absorbed. The aloe vera juice also benefits by regulating the production of gastric acid, helping with acid reflux and heart burn. However, be wary of over using aloe vera internally, as you may contract diarrhea and dehydration. These are only side effects of drinking too much of the juice for an extended period of time. The aloe vera juice, used internally, has shown to be a benefit to ulcerative colitis, by reducing the discomforts associated of this disease. It is also currently being studied for any benefits in cancer, arthritis, Crohns disease and asthma treatments. The inner leaves of the aloe vera plant have been found to effectively treat constipation. The gel and juice are used to reduce warts, vaginal infections and fungal attacks. It is used on the scalp to reduce hair loss. It has even shown some hair re-growth with continual use. There’s no denying the multitude of aloe vera plant benefits available to its users. However, always be sure to consult a physician before embarking on any kind of natural remedy medicinal path, as aloe vera plant benefits have been known to produce a few side effects. Aloe Vera Juice for Hair – Can it Help?